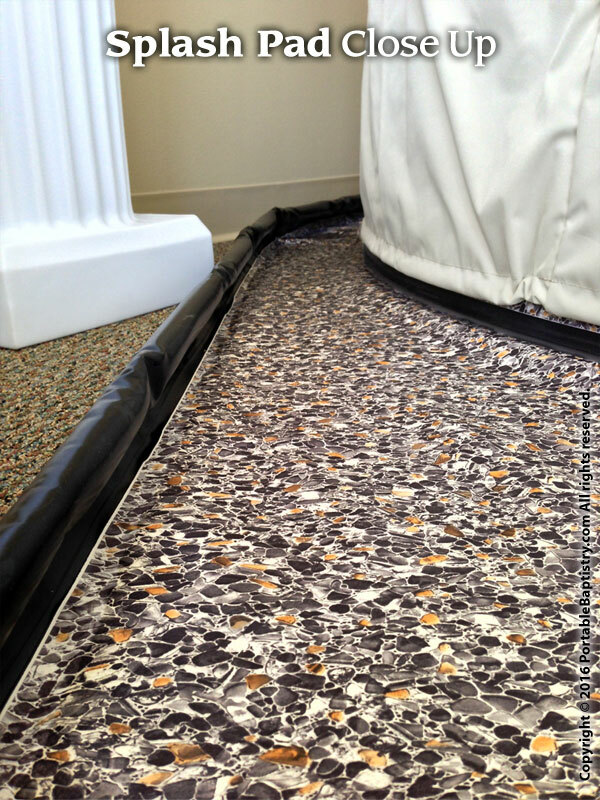 The Portable Baptistry Splash Pad collects the water dripping from wet candidates as they exit the Baptistry after baptism immersion and the helps keep your floor and carpet dry. Made of rugged, textured vinyl, the Splash Pad contains the water after baptism with the help of a soft 2 inch berm uniquely built into the perimeter. (see close up photo below). 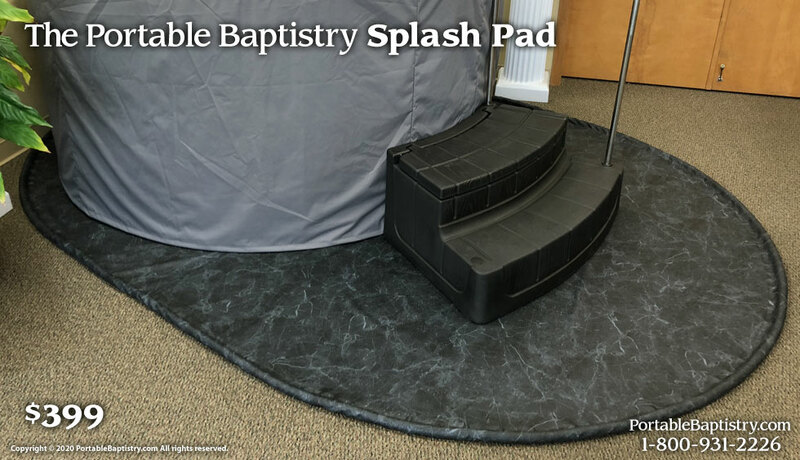 Simply set up the Portable Baptistry and Steps on the 8 ft x 12 ft oval-shaped Splash Pad and you are all set to protect your floor from becoming swampy. When finished, wet vac or towel dry the Splash Pad, fold it up, and compactly store away for next time. 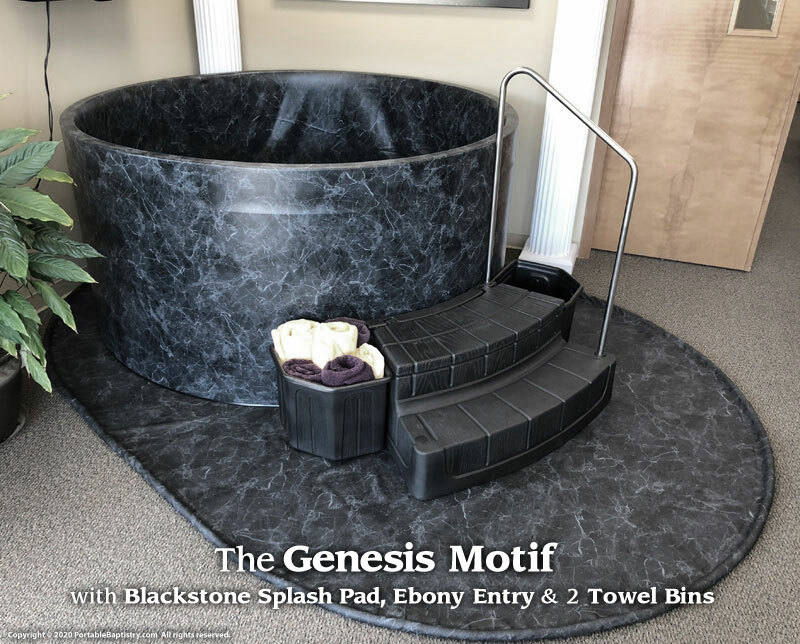 The Splash Pad comes in 2 colors that will complement the Color Motif of your Portable Baptistry Liner, Black Marble and Tan Pebble (see below). Which color Splash Pad is right for you?